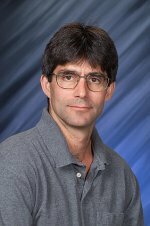 Congratulations to Dr. Greg Kimmel on being elected to the rank of Fellow of the American Vacuum Society. Kimmel is internationally recognized as a leader in the area of water-surface interactions and for the design and development of sophisticated scientific instruments and techniques. He was selected for "seminal contributions to understanding the structure and reactivity of water at interfaces." This work focuses on understanding how water "behaves" by investigating its structure and reactivity when it interacts with other materials. The thermal and non-thermal reactions he investigates have applications in a wide range of scientific fields, including catalysis, fuel cells, and even the water on Jupiter's moon, Europa. Kimmel is also a Fellow of the American Physical Society and an active member of the American Chemical Society. He was recently named the editor of a new scientific journal, Advances in Physics: X, which focuses on the connection between physics across all scientific disciplines. He earned a bachelor's degree in engineering physics and a doctorate in applied physics from Cornell University in Ithaca. AVS encourages networking among academic, industrial, government and consulting professionals across a variety of scientific disciplines, including chemistry, physics, biology, mathematics, and engineering. The organization focuses on a broad range of scientific interests including basic science, technology development, and commercialization. Fellows are recognized for "sustained and outstanding scientific and technical contributions in areas of interest to AVS." AVS has approximately 4,500 members worldwide and no more than one-half of a percentage of the membership is selected for the honor each year. PNNL has eight active staff members who hold the rank of AVS Fellow. Kimmel will be recognized along with the rest of the 2016 class of Fellows at the society's International Symposium and Exhibition in Nashville in November.